1.1 Should cognitive interventions be used for OCD? Patients sometimes say "Friends and other therapists have told me that my obsessions are not rational, and I know they are not rational. But this knowledge hasn"t helped overcome my OCD. Why should logic help me now?" Simply knowing that obsessions are not realistic dangers is not powerful enough to overcome OCD that has become ingrained over many years. When doing exposure for OCD we would not expect one exposure or an exposure from time to time to overcome the OCD. To overcome OCD exposures must be frequent and prolonged. Similarly one cognitive intervention will not make much of a change in OCD. But if therapists and OCD patients dispute or question their OCD, arguing against their distorted OCD cognitions as if they were a lawyer for the healthy part of their mind, over time and many repetitions, the obsessions and compulsions often gradually diminish. Some practitioners argue that therapists should not use cognitive interventions that attempt to convince patients that their obsessive fears are unwarranted. It has been said that this simply provides reassurance to OCD patients and everyone knows that reassurance is contraindicated because it reinforces compulsive reassurance-seeking, right? The answer is it depends. If a cognitive intervention causes patients to constantly ask to be convinced that their obsessive fears are unwarranted, then the cognitive intervention is reinforcing the obsession and worsening the OCD. But making a cognitive intervention when the patient has not asked for reassurance cannot reinforce reassurance-seeking. You can't reinforce a behavior that hasn't occurred. ERP and cognitive interventions can also be combined. When OCD patients experience their obsessions, they can use cognitive interventions to counteract their obsessions and to help them practice response prevention. Exposure and response prevention (ERP) is generally considered to be the treatment of choice for OCD. But Cottraux et al. (2001) found cognitive therapy equal to ERP for OCD, and Van Oppen et al. (1995) found CT equal or superior to ERP for OCD on all outcome measures. Whittal et al. (2008) summarized the long-term results of two other studies and found that although ERP was superior to CT in group format, there was no difference between ERP and CT in individual therapy. In addition, CT was better tolerated than ERP. Sixteen of 77 patients (21%) dropped out during ERP treatment, compared to only six of 67 patients (9%) in CT. But some studies have found ERP superior to cognitive therapy, for example, Olatunji, et al. (2013). There is far more research supporting ERP, and most practitioners utilize ERP more than cognitive therapy. But when treating OCD, cognitive interventions, and probably other interventions as well, should always be considered in addition to ERP. It is likely that there are some patients who will benefit more from cognitive interventions, or from ERP plus cognitive interventions, than from ERP alone. Cognitive interventions have the advantage of not provoking the anxiety associated with exposure and response prevention. So cognitive therapy is usually more acceptable to patients who are unwilling to do ERP. Another option is to begin treatment with cognitive therapy and move on to exposure after the cognitive interventions have diminished the patient"s OCD symptoms and a strong therapeutic relationship has developed. Clark (2004) reports that 90% of all people occasionally have fleeting thoughts of danger such as "What if I forgot to turn off the gas before leaving home?" or "What if I contracted AIDS from shaking hands with that gay man?" In fact, about 70% of all people report that they have had the thought "Did I leave an appliance on that could cause a fire?" And about 71% have had the thought "Did I leave the front door unlocked, allowing an intruder to come in?" Most people dismiss these thoughts as silly, meaningless, and their minds move on to other thoughts. But a small percentage of people have intense negative reactions to these irrational thoughts of danger. These people believe that the thoughts represent real dangers, or that the thoughts mean they have a serious mental disorder, or that they are bad or immoral people, or that they will be punished for their thoughts. Clark asserts that these negative appraisals of fleeting thoughts of danger cause some people to become fixated on the thoughts. This fixation is what we call an obsession. Clark believes that in OCD, the problem is not the fleeting thoughts of contamination, doing harm, illness, danger, etc. Almost everyone has and quickly dismisses these thoughts from time to time. Clark believes that it is the negative appraisal of these thoughts that converts them into obsessions. negative appraisals of these thoughts convert them into obsessions. A fleeting thought of danger occurs. A catastrophic appraisal of that fleeting thought converts it into an obsession. The patient performs a compulsion to reduce anxiety. The anxiety reduction reinforces the compulsion. Over time, intolerance of anxiety, the need for 100% certainty, and/or the need to make things "right" cause the compulsive behaviors to become more and more elaborate and time-consuming. Britney had the obsession that she had run over a child. Britney had "hit and run" OCD. If she heard a noise while driving, or if she drove past people standing on the sidewalk, she developed the obsession that she had hit a pedestrian. She would then drive back to determine if she really had hit the pedestrian. But after a while one drive back was not reassuring to her. Her drive backs became more and more repetitive until she sometimes had to spend half an hour driving around the block multiple times to check the scene of the "accident." Sometimes when she eventually arrived at home her doubts returned, and she would call the police to see if there had been any hit and run accidents on the street she had driven. Britney did multiple in-session imaginal exposures and was also asked to do imaginal exposures between sessions. When she drove past pedestrians, she was to stop her car and imagine she had hit a pedestrian. Britney reported that she could not do these between-session exposures because she feared they would arouse too much anxiety and would provoke multiple drive-backs. She did not hear the "thud" of hitting someone. She looked in her rear view mirror and saw nothing. The child was on the sidewalk, not in the road, so she could not have hit the child. Britney convinced herself that her OCD had created the obsession that she had hit the child. (Checking in her rear view mirror was a small compulsion that she was able to omit later in treatment.) A strict behaviorist might view this reviewing the evidence as counterproductive reassurance-seeking, but Britney continued to practice these cognitive interventions and her hit and run OCD continued to diminish until it was no longer a problem. Thought-action fusion. This is the dysfunctional cognition that the thought is equivalent to the act. For example, some patients believe that their obsessions of harming people will cause them to harm people, or are the first step in a sequence that will lead to harming those people. Thought-action fusion can sometimes be reduced by pointing out that a thought is not a wish, and a wish is not an act. The thought of harming one"s child is several steps removed from actually harming the child. And you can honestly tell OCD patients with harm obsessions that people with OCD never perform the harmful acts they obsess about. Believing that they are bad or crazy or will be punished for their obsessive thoughts. Some OCD patients experience guilt or believe that they are evil or crazy because they have violent, sexual or blasphemous obsessions. This dysfunctional cognition can be counteracted by quoting the research finding that the vast majority of people without OCD have similar thoughts, but do not worry about them. Believing that they must control their intrusive thoughts, i.e. believing they must stop themselves from having these thoughts. Of course it is not possible to control one"s thoughts. Wegner et al. (1987) found that after trying not to think about a white bear for two minutes, subjects had more thoughts about a white bear than control subjects who had not previously tried to suppress thoughts of a white bear. You can demonstrate this to OCD patients by asking them to try to not think of a white bear for two minutes. Overestimating the probability that their intrusive thoughts are realistic. Most OCD patients recognize that their intrusive thoughts are probably unrealistic, but they still overestimate the likelihood of their intrusive thoughts actually occurring. Intolerance of uncertainty. Most OCD patients worry about their obsessions unless they feel 100% certain that nothing bad will happen. Of course no one can be 100% certain that anything will not happen. When we leave home in the morning, we cannot be 100% certain that we will return home alive at night. Most people accept this reality and quickly move on to other thoughts. But OCD patients cannot tolerate less than 100% certainty that their intrusive thoughts will not become reality. Perfectionism and the belief that that everything must be "exactly right." This cognitive error leads to compulsions to do things in a certain way, or a certain number of times, or to do something the same number of times on each side of their body. Many OCD patients need to substitute the goal of "good enough," for "perfect." If some OCD patients tap their right index finger twice, they become uncomfortable or anxious until they tap their left index finger twice. OCD patients will tell you that these rituals "just feel right," or they say they will become anxious or something bad will happen if they don"t do these things "correctly." Sometimes they can articulate what "bad" thing will occur; other times they just experience a vague dread of something bad happening. Inflated responsibility is the mistaken belief that because the OCD patient performed a certain behavior in the past and something happened, the patient"s behavior caused that thing to happen. If what happened was bad, these patients feel they must not perform that same behavior again. If what happened was good, these patients feel they must perform that behavior again. This is what is commonly known as "superstitious behavior," except that OCD patients feel compelled to perform the behavior and become distressed if they do not perform the behavior. Four types of cognitive interventions for OCD are disputation, Socratic questioning, behavioral experiments, and the downward arrow technique. 2.1 Disputation is Albert Ellis"s term for using logical arguments to counteract dysfunctional cognitions. When treating OCD, disputation can be used to modify catastrophic appraisals of obsessive thoughts. This type of intervention is currently out of favor in CBT. 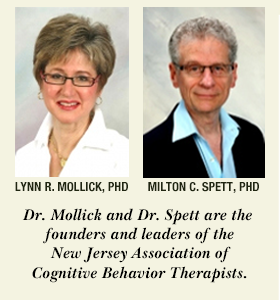 But it makes sense to try different types of behavioral and cognitive interventions and observe which are helpful with which patients at which points in treatment. Harriet had the obsession that she would strangle her child. Harriet"s daughter was the love of her life, so you can imagine her distress and guilt when she began to experience obsessive thoughts of strangling the child. Harriet was a very successful, goal directed patient; for two months she performed many types of intense, prolonged exposure, with no improvement in her symptoms. I love my daughter and would never do anything to hurt her. I have never done anything to hurt anyone. I recoil from any kind of violence, even in movies. The OCD is creating these thoughts, not me. These are just thoughts, which I reject, not wishes. Over several sessions Harriet read and reread this brief, and expanded and elaborated it. Six weeks after she began the cognitive interventions, her obsessive thoughts became trivial. They lasted only a minute or two, and they no longer caused her any distress. "How many times did you think you hit a pedestrian?" "How many times have you run over a child?" "What is the probability that this time you have actually run over a child?" "What is the probability that your thought that you may have run over a child is caused by reality?" "What is the probability that this thought is caused by your OCD?" "What is the evidence that you hit a child?" "What is the evidence that you did not hit a child?" For most patients, thinking about the logic of their obsessive beliefs and concluding that their beliefs are irrational is probably more effective than their therapist telling them their obsessions are irrational. Asking patients to estimate the probability that their obsessive concerns are realistic not only causes patients to doubt their obsessions, but also enables both therapist and patient to evaluate progress as patients reduce the estimated probability that their obsessions are realistic. 2.3 Behavioral experiments. Ask patients to do experiments which will disprove their dysfunctional cognitions. For example, if a patient believes that thinking of molesting children will cause him to molest children, ask that patient to intentionally think about molesting a child every day for a week, and then observe if that thought has caused him to molest a child. 2.4 Downward arrow. This refers to asking patients what would happen next after each step in their obsessive scenarios. When patients think through the specifics of their obsessive scenarios, they often realize that even their worst case scenario is not so awful. Patient: I cannot have an annual check-up because the doctor may find I have a fatal illness. Therapist: What might the doctor find? Pt: Suppose I have cancer? Pt: It would be a long, difficult course of treatment. Pt: I"d probably be o.k. Most people survive cancer. Th: And how terrible would that be? Pt: I guess I could handle it. Even if this type of downward arrow technique ends with a catastrophic like the death of the patient, the intervention may still constitute a useful exercise in imaginal exposure. Mindful acceptance of all thoughts and feelings, even painful ones. Valued living - pursuing the life you want in order to reach your valued goals. Because avoiding distressing thoughts and feelings is a key problem in OCD, ACT may be an especially helpful treatment for OCD. In a pilot study, Twohig et al. (2006) report that ACT helped six OCD patients achieve clinically significant decreases in their compulsions. Twohig et al. (2010) found that ACT was superior to a relaxation control group for OCD. Abandon attempts to control obsessions. Explain to OCD patients that trying to control obsessions intensifies them. In ACT "creative hopelessness" refers to the impossibility of controlling obsessions. Discuss in detail the price patients pay for attempting to avoid and suppress obsessions. Say the obsession in a funny voice, or rapidly and repeatedly until it sounds like gibberish. Choose language that indicates that the obsessions are just thoughts. Example: Instead of saying to yourself "What if I have contracted a fatal illness?" say "I"m having the thought that I have contracted a fatal illness" or "My OCD is telling me that I have contracted a fatal illness." Metaphors. For example, describing obsessions as passengers on a bus who are telling the driver (the patient) where to go. Mindfulness helps patients experience and observe the present moment instead of worrying about the future or the past. ACT mindfulness exercises begin with patients attending to their breath, then to present sensations, and then to present thoughts. Add imagery to mindfulness exercises and ask patients to imagine their thoughts as leaves on a stream passing by, or words typed on a computer screen, or as actors on a stage, or clouds in the sky. Note that ACT practitioners always employ mindfulness to increase awareness and acceptance, never to diminish emotional distress. According to ACT, patients should accept emotional distress rather than attempt to diminish it. However ACT practitioners note that mindfulness usually leads to decreases in emotional distress. Question the value of behaviors. "Does this behavior help you achieve one of your valued goals?" In other words, does a behavior serve the OCD, or does it help patients achieve one of the life goals they value? Encourage "willingness" to experience distress while pursuing those life goals patients value. "Committed Action" refers to homework assignments that promote patients" valued life goals. In ACT, it is important that patients, not therapists, choose homework assignments. Note that Committed Action results in exposure, making ACT an exposure-based treatment. But ACT is more gentle than traditional CBT because ACT's acceptance techniques reduce the anxiety created by obsessions, making it easier for patients to tolerate the exposure during Committed Action assignments. Thus, ACT may be especially helpful with patients who are reluctant to do traditional exposure and response prevention. Danny's OCD treatment was stuck. Danny suffered from contamination OCD. He washed his hands until they were raw, he wouldn't go near a garbage can, and he refused to go into certain rooms that had been "contaminated." Over the course of several months, exposure and response prevention diminished his contamination OCD by about 50%. But then months went by with no additional improvement. As Danny's annual performance review at work was approaching, he became fearful that he was going to receive a poor review as a prelude to being fired. A few therapy sessions were devoted to preparing for a poor review and going over how he would respond and improve his performance. And then Danny came in and reported that he had received an excellent review and a promotion. It was clear that Danny had low self-esteem about his job performance and intelligence. He felt inferior to his coworkers, most of whom had advanced degrees when he had only a college degree. Over the next two months treatment ignored Danny's OCD and focused on improving his concept of his intelligence and competence. When this was accomplished we noted that Danny's OCD had taken another big step forward and was now 90% improved. Patients who suffer from OCD often develop low self-esteem and depression as a result of their OCD and the restrictions OCD makes in their lives. OCD creates or exacerbates low self-esteem and depression, but low self-esteem and depression exacerbate OCD. Alleviating low self-esteem and depression will usually diminish the OCD. 4.1 Don't berate yourself for having OCD any more than you would berate yourself for having diabetes or being short. Everyone has problems and OCD is yours. Having OCD does not mean that you are less of a person. 4.2 OCD is only one aspect of who you are. You also have many positive qualities and achievements. Remind yourself of all the positive things in your life. Do not spend three quarters of your time thinking about the one-quarter of you that is your OCD. 4.3 Do what you can. Don't beat yourself up if you don't do a behavioral or cognitive exercise. You can win the war against OCD without winning every battle. Clark, David A. (2004). Cognitive-behavioral therapy for OCD. New York: Guilford. Cottraux, J. et al. (2001). A randomized controlled trail of cognitive therapy versus intensive behavior therapy in obsessive compulsive disorder. Psychotherapy and Psychosomatics, 70, 288-297. Olatunji, et al. (2013). Behavioral versus cognitive treatment of Obsessive-compulsive disorder: An examination of outcome and mediators of change. J. of Consulting and Clinical Psychology, 81, 3, 415-428. Twohig et al. (2006). Increasing willingness to experience obsessions: acceptance and commitment therapy as a treatment for obsessive-compulsive disorder. Behavior Therapy, 37, 3-13. Twohig et al. (2010). A randomized clinical trial of acceptance and commitment therapy versus progressive relaxation training for obsessive-compulsive disorder. J. of Consulting and Clinical Psychology, 5, 705-716. Van Oppen et al. (1995). Cognitive therapy and exposure in vivo in the treatment of obsessive compulsive disorder. Behaviour Research and Therapy, 33, 4, 379-390. Wegner, D. M. et al. (1987). Paradoxical effects of thought suppression. Journal of Personality and Social Psychology, 53, 5-13. Whittal, M. L. et al. (2008). 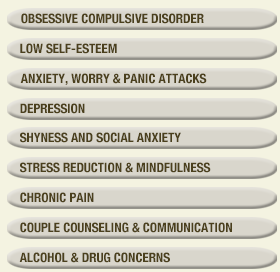 Group and individual treatment of obsessive-compulsive disorder. J. of Consulting and Clinical Psychology, 76, 6, 1003-1014.